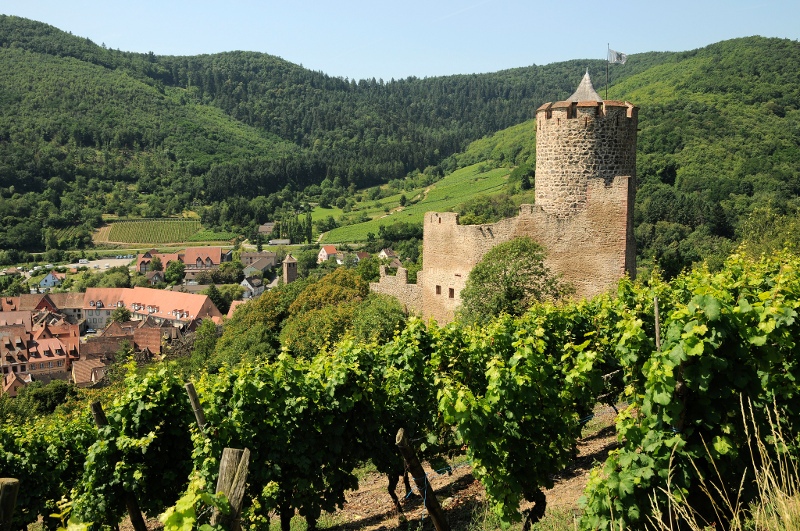 "A former town of the Holy Roman Empire, Kaysersberg boasts an Imperial Castle. Built towards 1200 to form a barrier to the routes coming from Lorraine, the village was an important strategic site in the war that opposed the Holy Roman Empire and the Dukes of Lorraine. 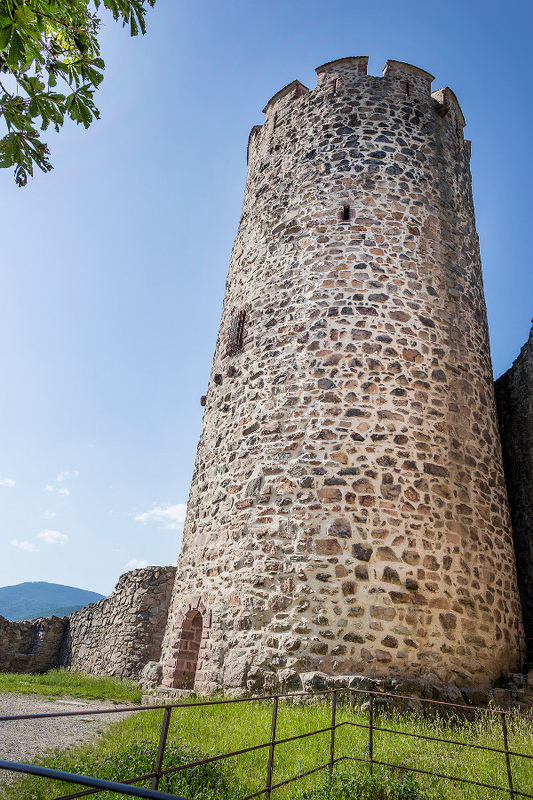 An enormous, cylindrical keep, one of the oldest circular keeps in Alsace, is a real curiosity in itself with its walls over 4 m thick. Inside the wall, protected by the keep, you can admire the manor house with its Gothic art windows. But above all don't forget to profit from the magnificent view. 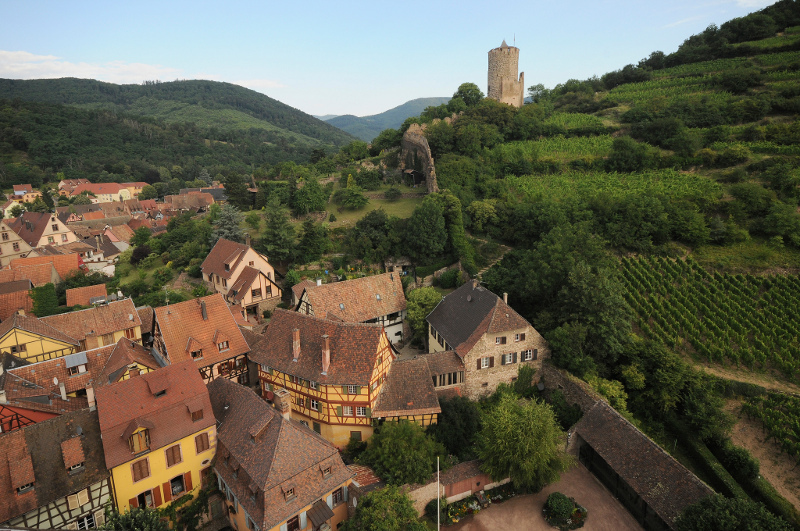 Take the stairway with its 100 steps up to the top of the keep for a splendid panorama looking over Kaysersberg. " Opening hours: Open all the year.